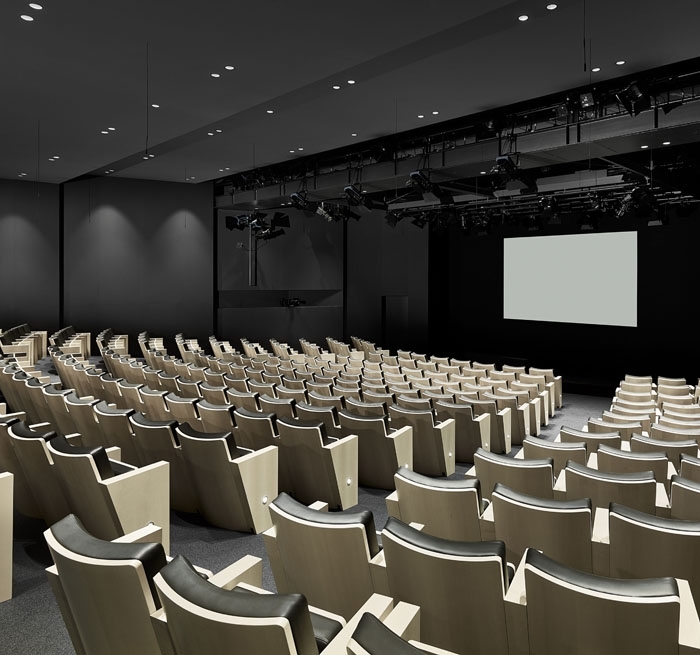 Apple, Inc. renovated their corporate auditorium at their Cupertino headquarters, affectionately known as Town Hall. Town Hall is a 297-seat venue used for meetings, special events and product introductions. It has an illustrious past with Steve Jobs using the venue to introduce many new Apple products over the years. Auerbach Glasow provided architectural lighting design, as well as theatrical and broadcast lighting infrastructure design, for the renovation. 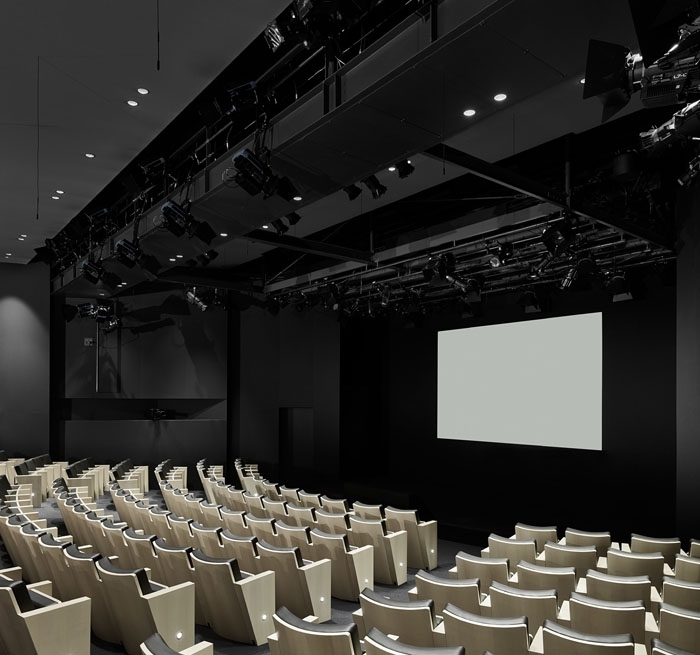 The firm’s scope of work encompassed the audience chamber lighting, theatrical catwalk relocation and the introduction of a theatrical lighting grid over the stage.